On day three of the USSEE 2009 Conference, June 1st, there will be two parallel keynote speeches. One speech, The Global Carbon Market: Good for Climate Change, Great for Development, will be given by Martina Bosi. Ms. Bosi joined the World Bank Carbon Finance Unit in Washington in 2005. She is the fund manager for the World Bank Prototype Carbon Fund (the world’s first global carbon fund) and the World Bank Danish Carbon Fund. She is also actively engaged in the area of policy and methodology for energy efficiency carbon finance-related activities. Another speech, Gender and ‘Scientific’ Culture in Ecological Economics will be given by Julie Nelson. 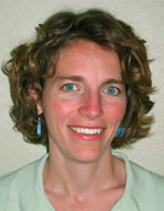 Julie Nelson is an Associate Professor of Economics at the University of Massachusetts Boston, USA, and a Senior Research Fellow at the Global Development and Environment Institute at Tufts University, USA. Nelson is best known for her work in feminist economics, in which she investigates gender-laden biases in the definition and methodology of economics, and the implications of these biases for the economics of caring labor. The speeches will be followed by a question and answer session. For more information visit the conference website. The conference is being held in Washington DC, May 30 – June 3, 2009. Registration is still open. The opening keynote speech for the USSEE 2009 Conference: Science and Policy For a Sustainable Future will be Green Chemistry: From Here to Sustainability. Dr. Paul Anastas will deliver the keynote address. Dr. Anastas is the director at the Center for Green Chemistry and Green Engineering Teresa and H. John Heinz III. He is Professor in the Practice of Chemistry for the Environment, School of Forestry & Environmental Studies and has been a member of the Yale faculty since 2007. The 5th bi-annual conference of the United States Society for Ecological Economics (USSEE) will be held in Washington DC from May 31st to June 3rd 2009. The conference theme is “Science and Policy for a Sustainable Future”. This theme intends to move the debate from scientific discoveries and insights to practical solutions and viable policies. Conference participants will come from academia, the non-profit sector and the public sector with the goal of advancing collaborations between the private, public and non-profit sector to advance sustainability. On May 31 at 2 p.m. the United States Society for Ecological Economics will commence the 5th Bi-Annual Conference with an opening panel. The discussion will be “Ecological Economics – Then and Now”. The chair will be Karin Limburg. Karin is an associate professor on the faculty of Environmental Forest Biology SUNY College of Environmental Science and Forestry. Panelists include Robert Costanza, John Gowdy, Beth Sawin and Rashid Sumaila. Dr. Robert Costanza is the Gund Professor of Ecological Economics and Director of the Gund Institute for Ecological Economics at the University of Vermont. Dr. Costanza is co-founder and past-president of the International Society for Ecological Economics (ISEE) and was chief editor of the Society’s journal: Ecological Economics from its inception until September, 2002. He currently serves on the editorial board of eight other international academic journals. Professor John M. Gowdy has been with the Economics Department at Rensselaer Polytechnic Institute since 1982. He is a member of the editorial boards of the journals Ecological Economics, Structural Change and Economic Dynamics, Environmental Ethics, Government and Policy: Environment and Planning C, International Journal of Agricultural Resources, Governance and Ecology and the International Journal of Global Environmental Issues. Beth Sawin is a scientist, writer, teacher, and public speaker who brings systems analysis together with an attention to vision, values, and human purpose. She is a biologist with a degree from the Massachusetts Institute of Technology and learned much of what she knows about systems dynamics and sustainability from her mentor and SI’s founder, Donella Meadows. Dr. Ussif Rashid Sumaila is Associate Professor and Director of the Fisheries Economics Research Unit at UBC Fisheries Centre. He specializes in bioeconomics, marine ecosystem valuation and the analysis of global issues such as fisheries subsidies, IUU fishing and the economics of high and deep seas fisheries. Sumaila has experience working in fisheries and natural resource projects in Norway, Canada and the North Atlantic region, Namibia and the Southern African region, Ghana and the West African region and Hong Kong and the South China Sea. He has published articles in several journals including, Journal of Environmental Economicsand Management, Journal of Bioeconomics, Land Economics, ICES Journal of Marine Science, Environmental and Resource Economics and Ecological Economics. Sumaila’s work has generated a great deal of interest, and has been cited by, among others, the Economist, the Boston Globe, the International Herald Tribune and the Vancouver Sun. Make sure you register for the conference today! The USSEE website is the place to check for regular schedule and speaker updates. Are you waiting for more information about the USSEE 2009 Conference schedule? Over the next several weeks coordinators will be blogging about the scheduled conference events. To start off the series let’s cover one of the scheduled events for Day 2. On May 31, 2009 from 9 a.m. until noon the conference will sponsor area field trips. One of the first field trips is a hike in Rock Creek Park. The second field trip will be a downtown Washington, DC monument walking tour. The third field trip will be at the National Building Museum: “Green Community“. Be sure to check the USSEE 2009 Conference website frequently for regular updates. Early bird registration ends at midnight PST on May 1. We look forward to your participation. Another keynote speaker for the USSEE 2009 Conference: Science and Policy for a Sustainable Future is Bill McKibben. Mr. McKibben is an American environmentalist and writer who frequently writes about global warming, alternative energy, and the risks associated with human genetic engineering. Beginning in the summer of 2006, he led the organization of the largest demonstrations against global warming in American history. McKibben is active in the Methodist Church, and his writing sometimes has a spiritual bent. May 1st is rapidily approaching. This is the deadline for the early bird registration of the conference. The conference will be held at American University in Washington D.C. If you have any questions, please contact secretariat@ussee.org. Dayna Baumeister is co-founder of the Biomimicry Guild, a world leading innovation company which draws on deep knowledge of biological adaptations to help designers, engineers, architects, and business leaders solve design and engineering challenges sustainably. She will be a keynote speaker at the 5th bi-annual conference of the United States Society for Ecological Economics (USSEE) that will be held in Washington DC from May 31st to June 3rd 2009. The conference theme is “Science and Policy for a Sustainable Future”. This theme intends to move the debate from scientific discoveries and insights to practical solutions and viable policies. Conference participants will come from academia, the non-profit sector and the public sector with the goal of advancing collaborations between the private, public and non-profit sector to advance sustainability. Early bird registration for this event ends on May 1st. See the USSEE 2009 Conference website for registration information. Who is an American ecological economist and professor at the School of Public Policy of University of Maryland, College Park. Who has been named Adbuster Magazine’s Person of the Year. View his featured article, “Big Idea: Steady State Economy“. If you guessed Herman Daly you guessed correctly. He will be one of the featured Keynote Speakers at the upcoming USSEE 2009 Conference. Don’t forget that the early bird special for the conference ends May 1st. Some featured keynote speakers include Herman Daly is an American ecological economist and professor at the School of Public Policy of University of Maryland, College Park. Herman Daly has been named Adbuster Magazine’s Person of the Year. View his featured article, “Big Idea: Steady State Economy” on the Adbusters website. Dayna Baumeister is Co-founder of the Biomimicry Guild, a world leading innovation company which draws on deep knowledge of biological adaptations to help designers, engineers, architects, and business leaders solve design and engineering challenges sustainably. Bill McKibben is an American environmentalist and writer who frequently writes about global warming, alternative energy, and the risks associated with human genetic engineering. Beginning in the summer of 2006, he led the organization of the largest demonstrations against global warming in American history. McKibben is active in the Methodist Church, and his writing sometimes has a spiritual bent. To register for the 2009 Conference or to learn more visit our website at http://www.ussee.org/conference09/.